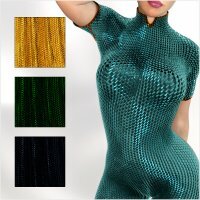 Astonishing chainmail, that adds the ultimate shine to your clothing. Expand your possibilities with this shader set. The inluded maps & settings may be used for commercial products.